‘Trouble’. It’s what Leona Lewis’ career could be in if her new single that features that very title fails to fire over in the UK. Her album ‘Glassheart’ was originally slated for release late last year, but with the lacklustre support of lead single ‘Collide’, it was pushed back and subsequently reworked. 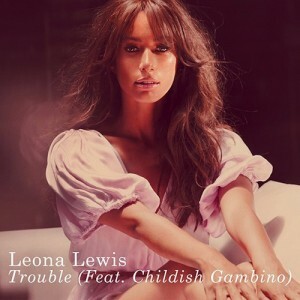 The great thing about ‘Trouble’ is that it sees Leona return to where she’s most comfortable and most celebrated – soaring vocals and mid-tempo ballads. And this Emeli Sande co-penned tune certainly fits like a fairytale glass slipper. But will the British record-buying public put their hands in their pockets to support it? Leona’s certainly just waiting to be a global superstar. She has the look, the voice, the right people behind her and now, seemingly, the songs to succeed. ‘Collide’ was amazing. I don’t know why it didn’t do better!!! we got a release date?